The elegance of copper tones in a natural wave shape creates the Organics Copper Medium Low Bowl. A sophisticated and stylish serving piece, this unique bowl is sure to be the center of attention on any dining or buffet table. 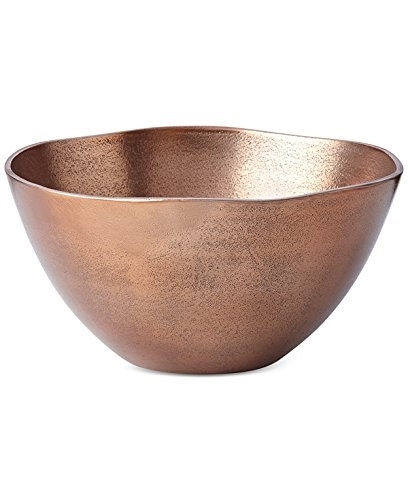 The shimmering beauty of the copper finish also makes this bowl a perfect décor item, whether as a centerpiece or design accent. Makes an impressive gift.